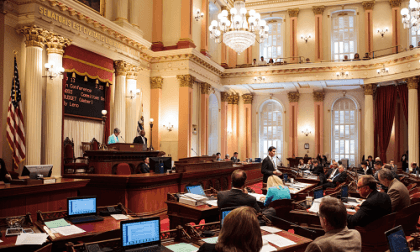 The fate of California’s latest attempt to officially authorize and regulate intrastate online poker remains unclear following this week’s postponement of a scheduled Assembly Appropriations Committee vote on Rep. Adam Gray’s AB 2863 measure. The Appropriations Committee and its chair, Rep. Lorena Gonzalez, agreed to a two-week postponement after continued attempts to fully unite all interested stakeholders failed. Such unity may well be necessary, since the powerful (but small in number) Pechanga-led hardline coalition still claims to be able to block any gambling legislation in California that doesn’t meet their requirements. Whether that assertion is true has yet to be put to the strict test, even as Rep. Gonzales helped sponsor several new amendments to AB 2863 in an attempt to bridge what to date has been an unconquerable divide. That divide, as we’ve often reported, has a single word: PokerStars. On the one side, as always, is PokerStars, its several partners in waiting, and most of California, poker players and otherwise, who realize that Stars’brand recognition will make the California’s online-poker market for everyone. And on the side, as always, are the Pechanga, Agua Caliente and a few other tribal nations, who despite claims of other motivations, want California to be a Stars-free online gambling playground for themselves. And that’s where the week’s developments got really interesting, meaning the specifics of Gonzalez’s amendments. The most important and relevant: A provision that offshore sites that welcomed Californians to play between the end of 2006 and the end of 2011 — roughly the period between the passage into law of the UIGEA and the Wire Act-narrowing USAG opinion issued five years later — be declared unsuitable, unless they pay a $20 million “apology” payment into California’s general fund. a) Ensure that the General Fund receives funds in all years. The current version of AB 2863 requires the first $60 million in tax revenue collected on gross gaming revenues and license deposits from operators be allocated to the California Horse Racing Board ($57 million) and the Fair and Exposition Fund ($3 million). Collected revenue in excess of this $60 million will be left in the General Fund. The current structure does not guarantee that Internet poker will benefit the state’s General Fund. With a 15% tax rate, annual gross gaming revenues would need to be in excess of $400 million annually for the General Fund to receive any revenue. 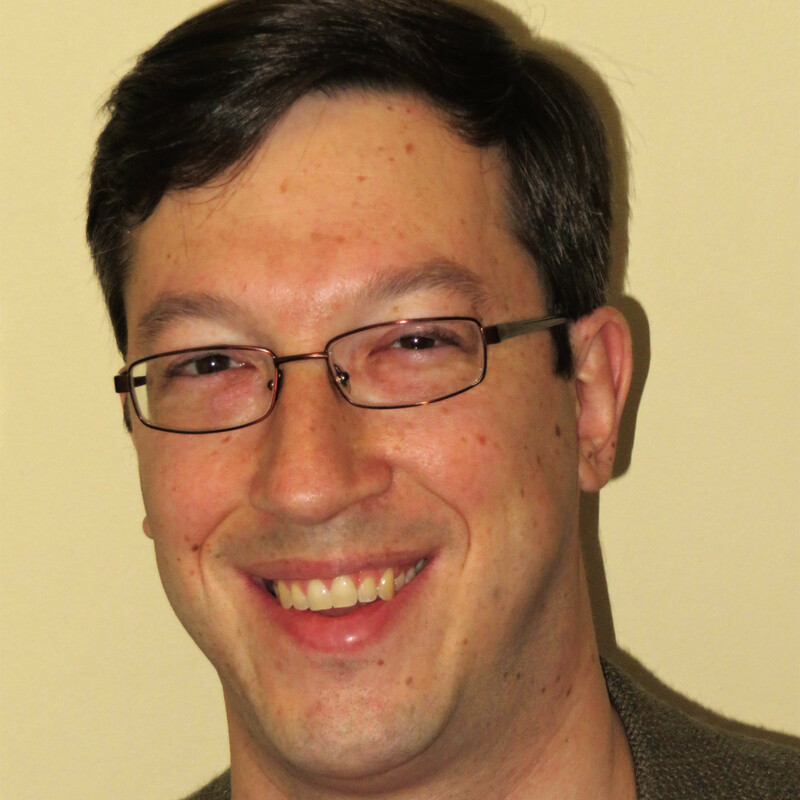 Industry projections suggest this threshold will be met, but some contend that legalized online poker has often underperformed projections, especially in initial years of operation. Therefore, the Committee recommends an amendment that keeps 10% of tax revenue from gross gaming revenues in the General Fund, no matter what annual gross gaming revenues are in any given year. The remaining 90% will go to horseracing and fairs until the previously discussed $60 million is reached. After that, all revenue will go to the General Fund, similar to the provisions in the current version of the bill. b) Allow some of the license deposit to be offset by reduced taxes on gaming revenues. 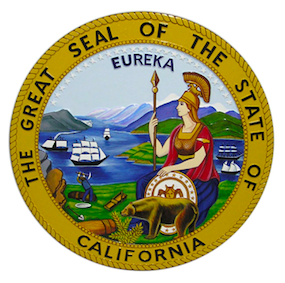 AB 2863, prior to the June 9, 2016 amendments, included a provision that the license deposit could be offset by reduced taxes on gross gaming revenues. That provision has since been removed. Opponents to the current version of the bill argue that this upfront deposit is prohibitive. The Committee recommends that half of the $12.5 million deposit ($6.25 million) be offset by reduced taxes on gaming revenues. This would ensure that more operators are given the opportunity to participate in the market while still providing an upfront infusion of revenue as a result of new applicants joining the market. I. A requirement that regulators impose limitations on the use of accrued assets. The Committee recommends that the CGCC impose limitations and conditions on how assets, such as customer lists, databases, or any other assets deemed to provide the applicant an unfair competitive advantage, are utilized. This requirement applies to any applicant that accepted wages from online gambling without an appropriate license prior to the enactment of the bill. Specific limitations would be left up to the CGCC to develop. II. Delay when some service providers can be provided a license. The committee recommends that service providers that operated in the period between January 1, 2006 and December 31, 2011 not be provided a license until January 1, 2021. This does not preclude the applicants from starting the process of applying prior to this date. Alternatively, such applicants could pay a one-time fee of $20 million, to be deposited into the General Fund, to obtain a license before January 1, 2021. The paragraph above the bolded, which has the potential to declare the old PokerStars mailing lists as tainted and unusable assets, is also a matter of importance. Yet it’s that final paragraph that’s the head-turner. The amendment still doesn’t please the Pechanga-led coalition. Agua Caliente tribal chairman Jeff Grubbe appeared at the hearing in which the bill was discussed but the actual vote delay. In the midst of attacking Stars with such lines as “intentional tax dodgers,” he also suggested that the current PokerStars still wouldn’t flinch at paying the proposed $20 million penalty — and that it was unfair anyway. Maybe, maybe not, but not so fast. Two other factors also have to be considered. First, it was the old PokerStars, owned by the Scheinbergs and their closed group, that ran PokerStars during the period being protested by the Pechanga group. Second, Stars parent Amaya would not pay the $20 million — even if it seems like an easy buy — without thorough consideration of how it might impact another ongoing, disputed legal matter, the farcical $870 million judgment granted to Kentucky against PokerStars last Christmas over similar claims of previously, illegally supplied services. This writer says there no way in hell Amaya would consider paying California $20 million without a strict, wide-ranging declaration that said payment was not an admission of any guilt or illegal activity. That declaration would be even greater in scope, if that’s possible, than the declaration the old Stars ownership made with the US DOJ back in 2012. “We are pleased that Chairwoman Gonzalez and Chairman Gray are committed to ongoing discussion, working cooperatively, and moving an iPoker bill this year. Our coalition, too, is committed to putting in the work so we can authorize and regulate iPoker this year. Finally, consumers will be encouraged to hear that a safe, regulated playing market is forthcoming. “In the last few weeks, an unprecedented and growing coalition of consumers, tribal governments, labor unions, card rooms, race tracks and many others have come together to support moving this bill forward, and it represents the most significant progress ever made in authorizing iPoker in California. Just today, the 2.1 million member California Labor Federation joined the growing list of supporters for AB 2863. More to come from California, for certain.